These Online Payment Terms apply to the use of the online payment transaction services (the “Services”) for the payment and use of online products made available by Shoof International Limited through their website. These Online Payment Terms constitute a contract between you and Shoof International Limited. By proceeding you accept these terms. Please note that the Online Payment Terms may be altered or added to by Shoof International Limited at any time that Shoof International Limited determines necessary, with or without notice. Please, therefore, ensure that you read the Terms carefully on each occasion that you use the Services. It is strongly recommended that you take and retain a copy of the transaction for record keeping purposes. Use the Services or any material supplied by Shoof International Limited for any unauthorised or unlawful purpose. Rely on the content of the material supplied by Shoof International Limited. 3. Payment may be made using only Visa, MasterCard or Amex credit cards. 4. Shoof International Limited may contact you to confirm your credit card details. 5. All charges are in New Zealand Dollars and inclusive of GST (if any). 6. Upon completing a transaction using the Services, you will be presented with a confirmation screen verifying the transaction details you wish to process. It is your responsibility to verify that all transaction information and other details are correct. Shoof International Limited shall have no liability for transactions which are incorrect as a result of inaccurate data entry in the course of the use of the Services or for loss of data or information caused by factors beyond Shoof International Limited control. 7. Once a payment has been made it cannot be cancelled. 8. Shoof International Limited accepts no responsibility for refusal or reversal of payments, which shall be a matter between you and your credit card issuer. The name of the payer.? The first 4 and last 3 digits of the credit card (for validation purposes). 11. You hereby authorise Shoof International Limited to collect information about you (including information about transactions processed by you) from time to time through Shoof International Limited’s website. Any such information collected shall be treated in accordance the Privacy Act 1993. 12. Payments using the Services are made through a secure third party website. However, you acknowledge and agree that Internet transmissions cannot be guaranteed to be entirely secure or private and any information provided by you (including credit card information) may be able to be read and/or intercepted by a third party. Shoof International Limited shall have no liability for the interception and/or ‘hacking’ of any data or other unauthorised access to information provided by you for the purposes of the Services. 13. To the extent permitted by law, Shoof International Limited does not accept liability for any damage, loss, costs (including legal costs), expenses, indirect losses or consequential damage of any kind which may be suffered or incurred by you from the use of the Services or any product purchased. If, for any reason, Shoof International Limited is found to be liable to you for any damage or loss which arises as a result of your use of the Services, Shoof International Limited’s liability shall be limited to the amount paid by you through the Services or $100.00, whichever is the less. 14. If the Consumer Guarantees Act 1993 applies to your transaction you may have rights or remedies that are not excluded or limited by clause 13. If you are using the Services for business purposes, the exclusions and limitations set out in clause 13 will apply and the provisions of the Consumer Guarantees Act 1993 are hereby excluded. 15. Shoof International Limited do not warrant or guarantee that the Services, Products and/or your use of the Services and Products will be error-free, immediate, virus free and/or continuously available or that the information provided through the Services or Products will be complete, accurate and/or up-to-date. 16. Shoof International Limited reserves the right to suspend, amend or cancel the Services at any time either temporarily or permanently. Any claim brought against Shoof International Limited by a third party in relation to your use of the Services. 18. 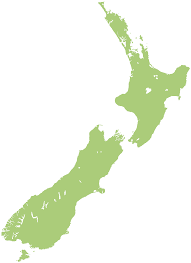 The Online Payment Terms are governed by New Zealand law. The New Zealand Courts have exclusive jurisdiction over any matter in connection with the Services and these Online Payment Terms. 19. All orders will be dispatched based on the delivery schedule displayed in the check-out process.